Whenever I tell people that many many years ago, I used to lived in Tyrol, I often get blank stares. It turns out that while this region of Austria is well known throughout Europe, particularly for its fabulous ski slopes in the winter months, beyond European borders Tyrol isn’t a household name. 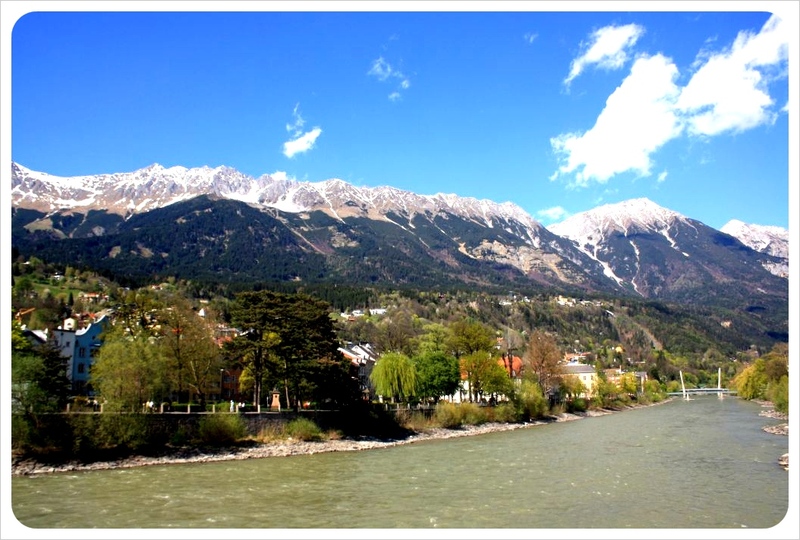 “Innsbruck?”, I then usually try, referring to the capital of the state, but again – barely anyone has even heard of it. And that’s just such a shame, since Innsbruck is a gorgeous city, sitting in a wide valley, fringed by Alpine mountains on both sides. But the city is usually overlooked or foregone in favor of Vienna and Salzburg, which has made it on the international tourist map thanks to its Sound Of Music fame. 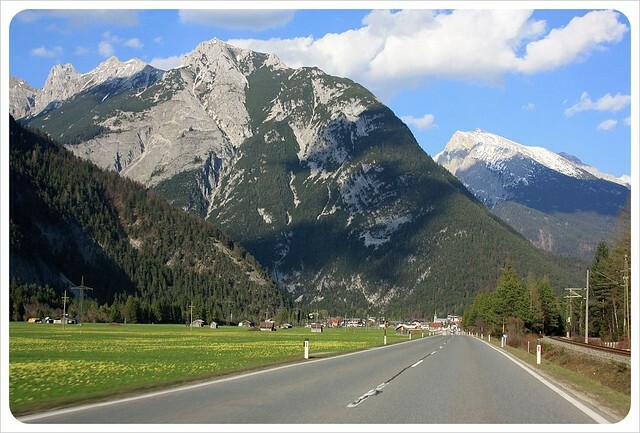 Innsbuck doesn’t have to hide behind Salzburg though – and did you know that the drive from Salzburg to Innsbruck is a mere two hours? So if you are visiting Austria and Salzburg is already in your travel plans, do yourself a favor and add Innsbruck to your itinerary. The best way to see Innsbruck is to hike up one of the surrounding mountains and look down at the city from the top. If you’re not a keen hiker, don’t fret – you can also take the easier route, via cable car, which conveniently leaves from the center of town and brings you all the way up to Karwendel Nature Park. There are several stops along the way up the mountain, but Seegrube (at 6,250 feet) and Hafelekar (at 7,401 feet) are the most remarkable viewing points. 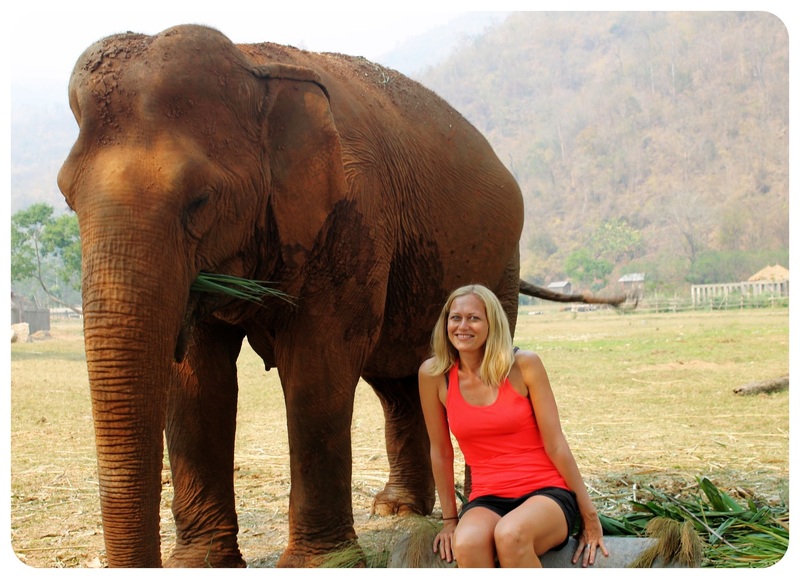 If you do enjoy hiking, you’ll want to make time for an extensive hike, following one of the many hiking trails on top of the mountain. Another option is to take the Patscherkofel cable car to the top of the Patscherkof Olympic Mountain (7,369 feet) and hike along the Stone Pine path, or, if you don’t want to go all the way up into the mountains, the popular short hike from Arzler Alm to Hoettinger Alm. The Bergisel Ski Jump is yet another impressive lookout over Innsbruck. 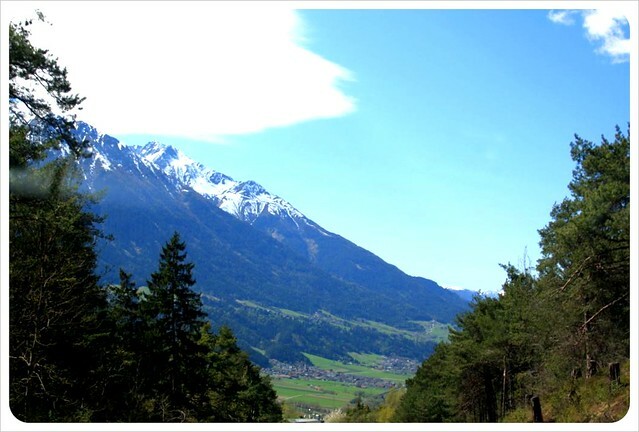 You can find a list of the most popular hikes around Innsbruck here. One of the best thing about visiting Innsbruck is that you’ll find yourself in the heart of traditional, hearty Tyrolian cuisine. 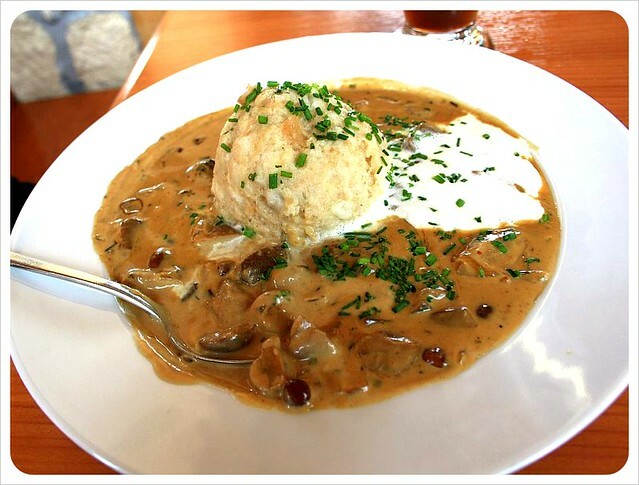 Some of the dishes you have to try during your visit are Speckknoedel (dumplings with pieces of bacon), groestl (roasted potatoes, speck, and onions topped off with a fried egg), and kaesespaetzle (egg noodles sautéed with a variety of mountain cheeses and topped with fried onions). Don’t miss the Markthalle, Innsbruck’s beloved indoor food market. 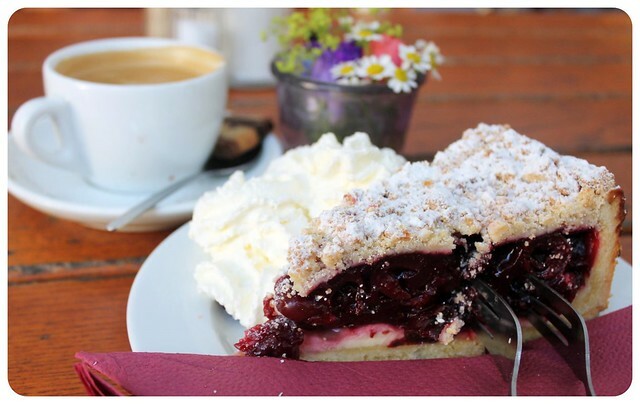 To try some of Tyrol’s famous cake, head to Café Munding, which has been run by the same family since 1803. If you happen to visit around Christmas time, you’ll love the Christmas market right in the center of town, where you can sample dozens of regional foods and mulled wines at the food stands. 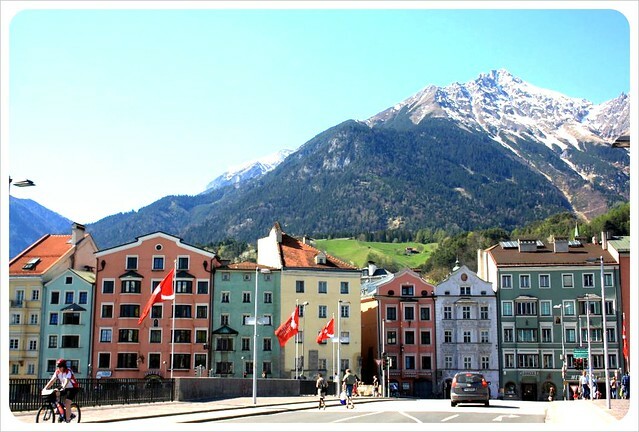 Of course you can’t compare the art scene in Innsbruck not with Munich or Basel, which are both a few hours away, but considering that it is a moderately sized city, the art and culture scene is remarkable. The annual ART fair (held in January) is even the second biggest art fair in all of Austria! 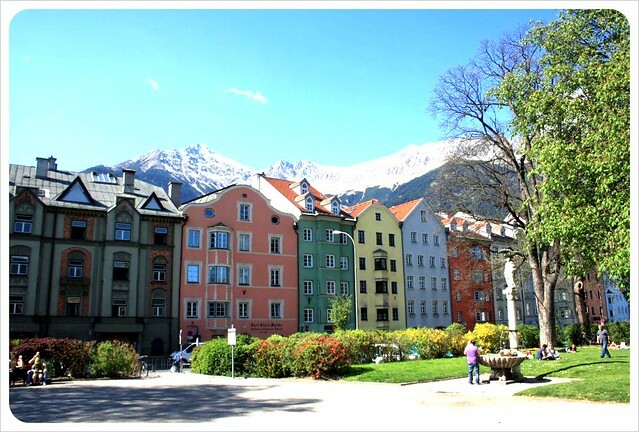 From fine art to contemporary artworks – Innsbruck has something for everyone! Thanks to its considerable student population, Innsbruck also has a great bar and nightlife scene – obviously not comparable to Vienna, but there are several places that will make night owls happy: Bar 360, aptly named after the 360 degree views of Innsbruck and the surrounding mountains, Moustache Bar, right in the Old Town and famous for their Deadly Moustache Cocktail, and Tante Emma Club, an EDM nightclub that is a favorite among the local dance crowd. 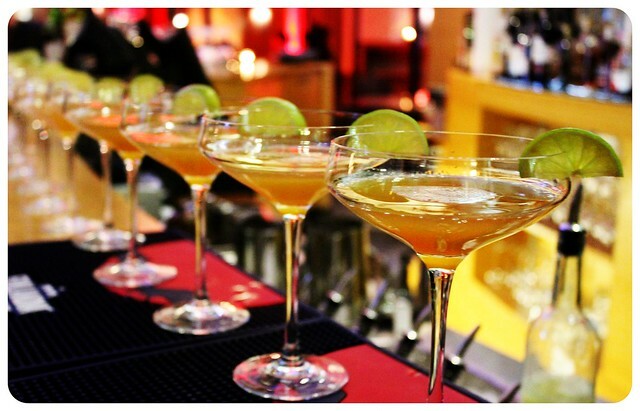 If you feel like going on a bar crawl, check out Culture Club’s Top Ten Bars in Innsbruck. 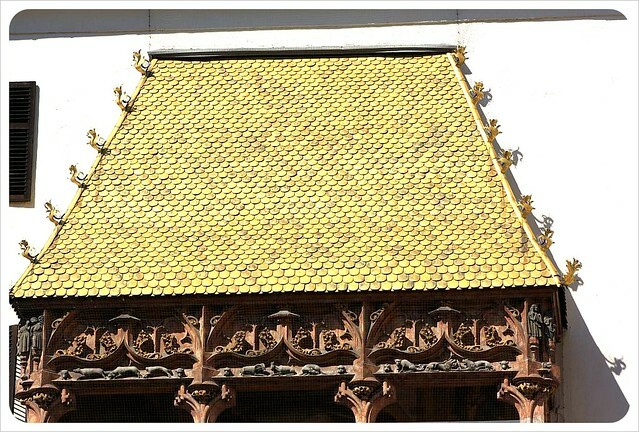 The Golden Roof, or Goldenes Dachl as it is called in German, is the most famous landmark in Innsbruck, made with 2,657 copper tiles gilded with six kilos of gold. The tiles are still the original ones, dating back to the year 1500! Where else in the world can you see a roof like this? The roof was gifted by the Emporer to his wife during Austria’s Imperial days and there’s always something going on around here. Street performers, other striking Gothic and Rococo buildings, covered in historical murals, and the Christmas market during the Holidays – make sure to stop in one of the many cafes (which all have outdoor seating during the warmer months) and take in this unusual roof and the hustle and bustle surrounding it.